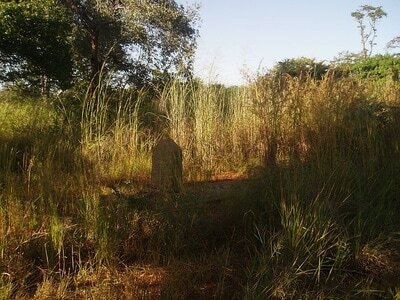 Chegutu is a small town about 120 kilometres south west of Harare on the main road to Bulawayo. When entering Chegutu from the Harare direction, turn left at the first main crossroads into Seigneury Road and after 1 kilometre turn right. The Cemetery is 0.5 kilometres down the track. The grave is numbered 239. Chegutu Cemetery is open every day between 06:00 and 18:00. 1508 Detective Sergeant Thomas Lawson Morgan, British South African Police, died 22nd November 1915, aged 30. 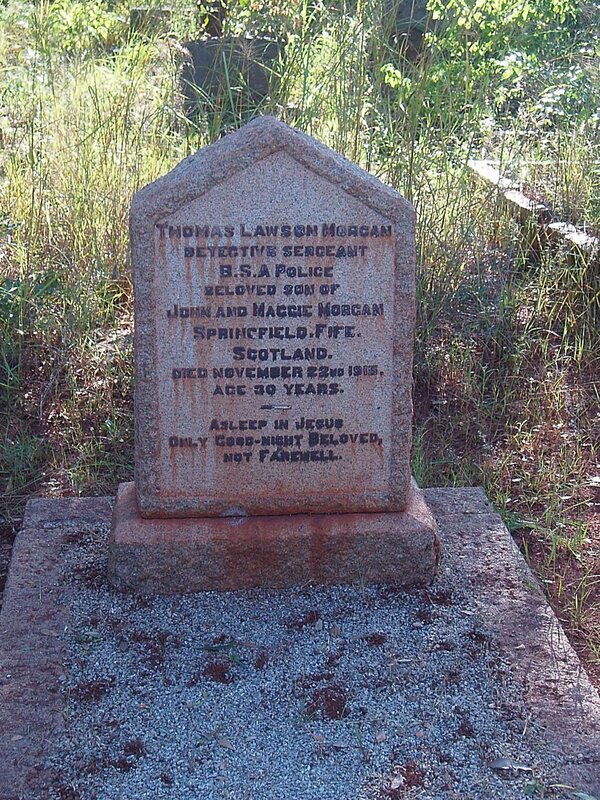 Son of John and Margaret Lawson Morgan, of Auburn Cottage Springfield, Fife. Born at Springfield.